Your cat has natural hunting instincts, but really… do you want your cat bringing home dinner? Well look no further! 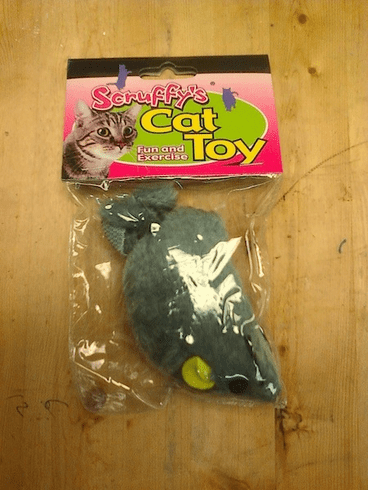 This cat toy looks just like a real mouse but without all the mess! Made from a durable synthetic fur. Body measures 4" Comes in assorted colors.